Are you a fan of the MCU? Or to be more specific about it, do you enjoy following the adventurous exploits of such comic book characters as Iron Man, Captain America, Thor, Black Widow, Star-Lord, Gamora, and Spider-Man? If so, then why don't you come on down to Disneyland Paris between the 10th of June and the 30th of September, 2018! This three-month-long event is part of a spectacular conclusion to Disneyland Paris’s 25th Anniversary celebrations, and it will coincide with the spectacular showing of the current film under the Marvel banner, 'Avengers: Infinity War'. Want to know more? Then please, check this out!!! Oh no! The evil Thanos has somehow found a way of manipulating the Avengers so they end up destroying each other! So what do they do? I tell you what they do, they put on a show, a 20-minute show, that's what. 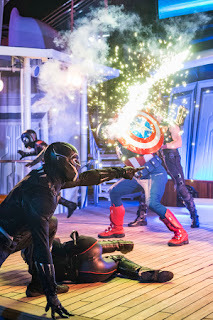 Located at the Studio Theater in the heart of Walt Disney Studios Park, this gala production will be performed numerous times throughout the day, and includes live-action on-stage antics featuring Thor, Iron Man, Black Widow, Doctor Strange, Black Panther, and Spider-Man, to name just a few, plus it also features cutting-edge special effects that will bring the Incredible Hulk and the fearsome Thanos to life (a first for Disneyland Paris). Guardians of the Galaxy Awesome Dance-Off! Do you want to get down and boogie with the likes of Star-Lord, Gamora, or any of the other members associated with the Guardians of the Galaxy? Yes. Of course you do! After all, music is a key part of Star-Lord's life, especially 70s and 80s styled dance music, which you can cordially jive to with him and the rest of his crew. This truly wild experience will take place in the Production Courtyard and be held regularly throughout the day! So what are you waiting for? Strike a pose and get ready to bust a move! Several times a day, Tony Stark will be hosting an open-air presentation located at the foot of the Hollywood Tower Hotel. Here he will showcase the latest version of his revolutionary invention, named an ‘Arc Reactor’, which is basically a piece of machinery that has the ability to generate huge amounts of green energy. You know, just like the green energy Loki loves to get his hands on, but not if his fearsome half-brother, Black Widow, and Spider-Man can help it. No heroic event will ever be complete without a meet and greet by the first Avenger himself, Captain America, also known as Steve Rogers, who will be at Walt Disney Studios Park to share his epic experiences, accompanied by a photo opportunity, of course. 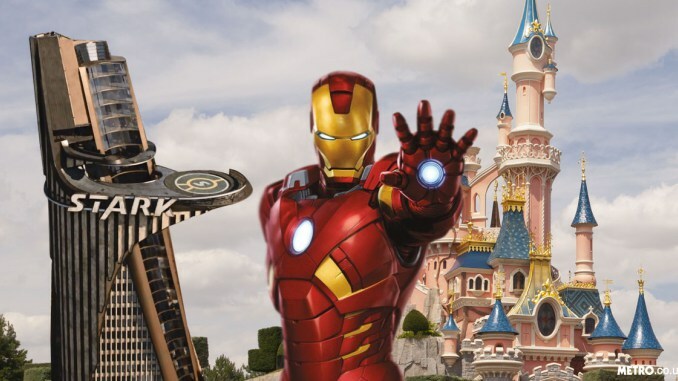 Along with Steve you will also be able to buy a wide range of Marvel products exclusive to Disneyland® Paris, including souvenirs, lifestyle merchandise, hero headbands, plus much-much more. For more information please check out Disneyland Paris's official facebook, youtube, and twitter pages.